A lush five-acre setting adjacent to the New Orleans Museum of Art is now home to the Sydney and Walda Besthoff Sculpture Garden. 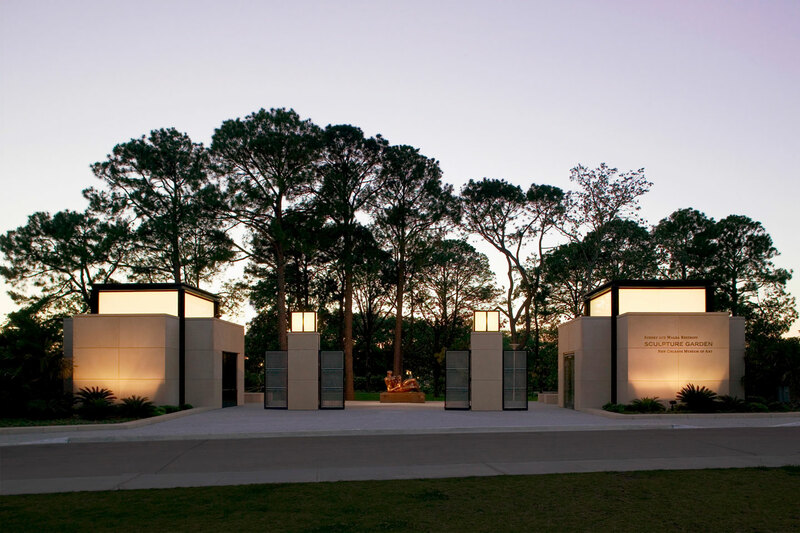 The collection is set within an architectural framework of cast-stone and bronze pavilions, meandering paths, pedestrian bridges and a reflecting lagoon – really a series of outdoor galleries designed by Lee Ledbetter Architects and landscape architects Sawyer/Berson. Imposing works by Louise Bourgeois, Henry Moore, George Segal, Joel Shapiro and others rest among the moss-laden, 200 year old live oaks, towering pines, magnolias and camellias, making this one of the premier sculpture gardens in the country.